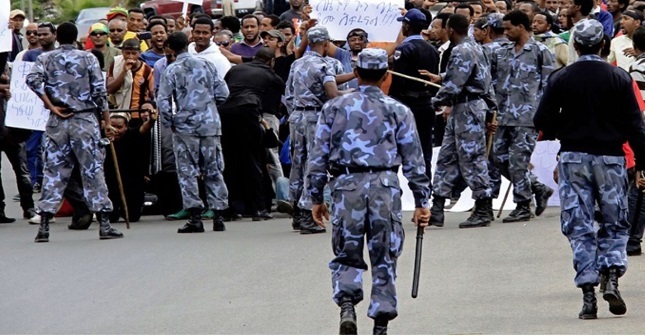 Police brutally attacked and dispersed peaceful demonstrators in the capital Addis Ababa on Sunday as they try to protest against the ongoing government repression on opposition political parties and dissents in run-up to the countries general election.. Political activists say the Sunday’s attack against the peaceful demonstrators is further evidence of the authorities’ determination to clamp down the activities of opposition political parties ahead the election. In this latest brutal attack against peaceful protesters, dozens of members and supporters of Unity for Democracy and Justice Party (UDJ) were seriously injured. 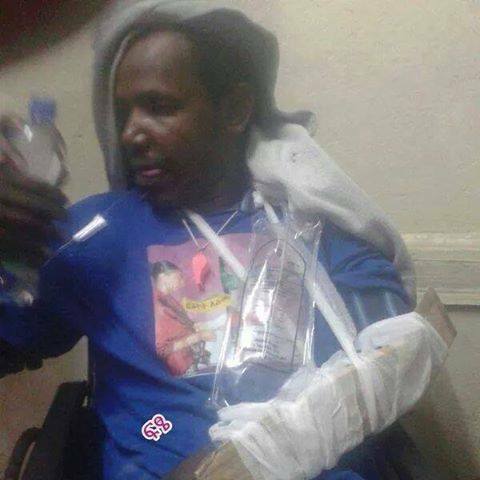 The incident is the most blatant and massive case of lethal police brutality in Ethiopia. According to reports, demonstrators were brutally beaten with baton, stick and iron rod in the head, face, hands, and legs. 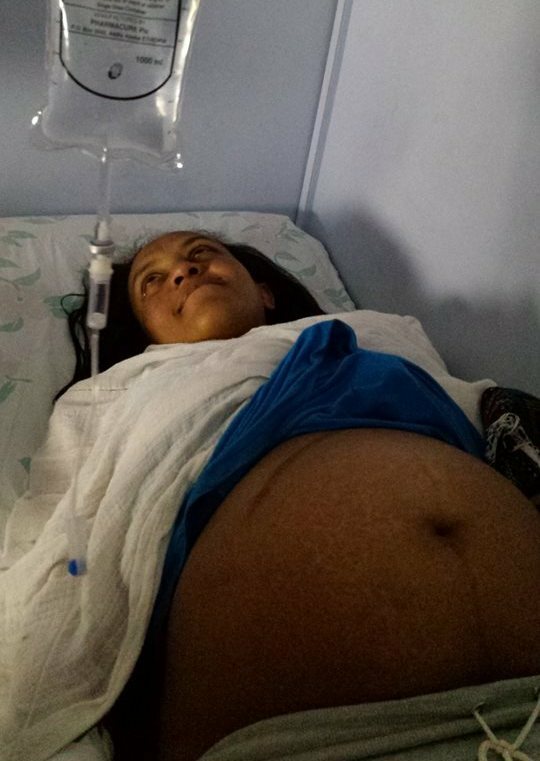 One of the victims is said to have been a pregnant woman. Reports show the victims were taken to hospital right away, and some of them are still receiving medical treatment. Among seriously injured was Sileshi Hagose, the member of the general assembly of the party and editor in chief of a weekly newspaper. Recently released photographs show that he was wounded in the face and head, and his both hands were seriously broken. UDJ is the main opposition political party struggling in the narrowing political landscape in Ethiopia and is one of the few parties working at national level with an inclusive structure by bringing different ethnic groups all together. Reports show in the past few weeks the party has been struggling with the National Election Board of Ethiopia (NEBE) over the case of an internal faction that is accusing the party of violating its laws. The Sunday’s brutal attack is the latest in a serious of similar measures against peaceful demonstrators in Ethiopia. For instance, on 6 December 2014 several people were beaten during attempts to stage a demonstration called by a coalition of nine opposition political parties. Reports show holding an election rally or demonstration is now totally impossible in Ethiopia as government continue to reject applications for such events and keep its brutal attack against those trying to held. According to the National Election Board of Ethiopia (NEBE), the election will be held on May 23 across the country. Yet, as the election approaches, the ruling party is intensifying its crackdown on opposition political parties and dissents. In 2014 only, several opposition leaders, Journalists, bloggers, and Human Right activists were arrested with numerous publications of the free press closed. More than 30 journalists were also forced to flee the country. The arrest is part of a long trend of arrests and harassment of political opponents, human rights defenders, and journalists. Activists said at least 12 key and outspoken opposition political leaders, 6 journalists, 6 bloggers, and 2 political activists had been jailed in the capital Addis Ababa only under fabricated terrorism charges. The ongoing crackdown has included independent civic associations that could play an important role in the upcoming election. Reports shows in 2014 two civic associations were targeted in orchestrated false accusations. This wide array of measure, which is getting increasingly worrying, is said by oppositions to be calculated to deter challenges and eliminate the scope for the mildest expressions of opposition. The Ethiopian People Revolutionary Democratic Front (EPRDF) has been on power since 1991, and 4 general elections have been held in the past 23 years. Yet, all those elections were abused, and failed to meet the international standards.